Every now and again, i stumble upon the most beautiful artwork and, after scrolling through Etsy the other evening, i came across the most wonderful paintings from The Litus Gallery, I fell more and more in love with the gallery as i looked through. 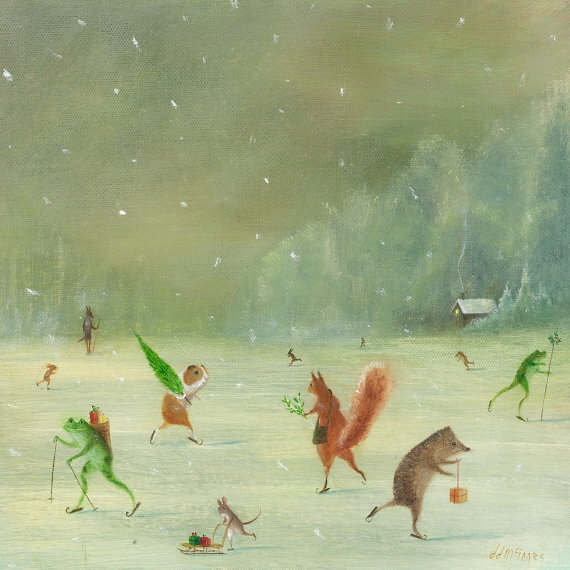 Little bunnies, bears, foxes, stags and squirrels. Oh my. 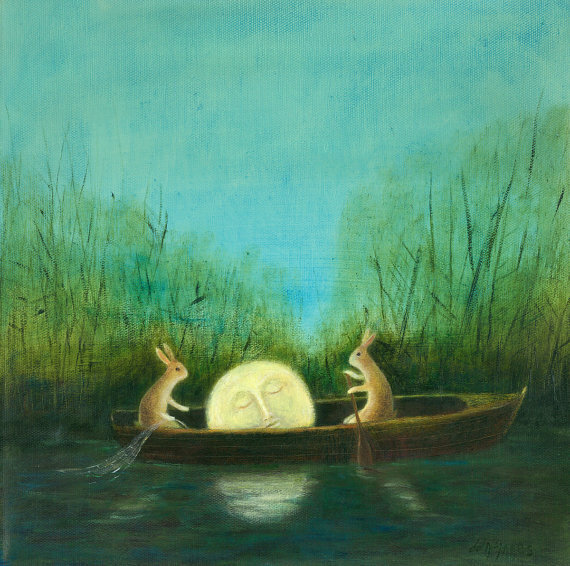 Boats, dolls houses, the moon, pumpkins! 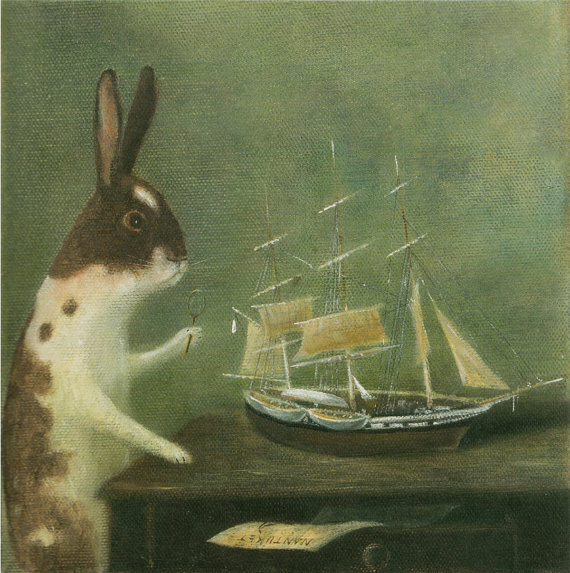 I just cannot express how much i love these paintings. 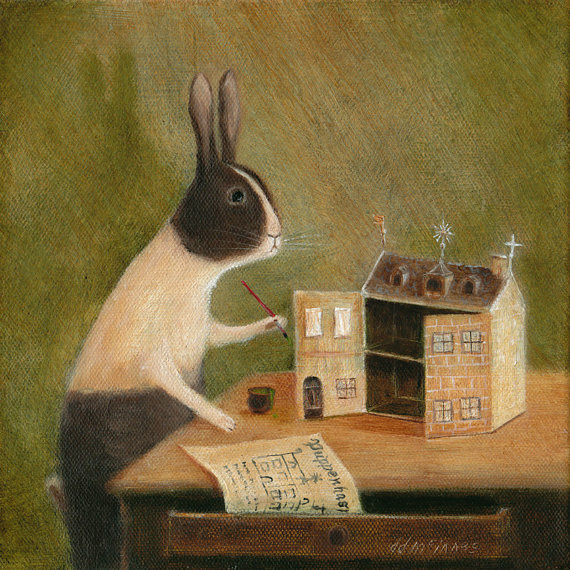 A bunny painting a dolls house! It is the most perfect combination. When i came to write this post, i honestly thought that i could write words and words but the only words i can think of writing is how amazing they are. Enchanting. Magical. I cannot find the words to describe the love and the feeling in my heart that i get when looking at them. It is like stepping in my own mind. It is really how i wish things were. 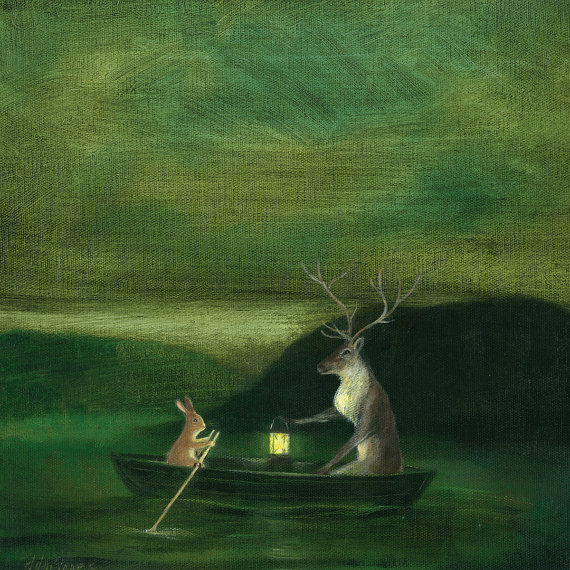 I wish that i could look out on a lake at night and see a stag and bunny on a rowing boat, singing lullabies under the moonlight. 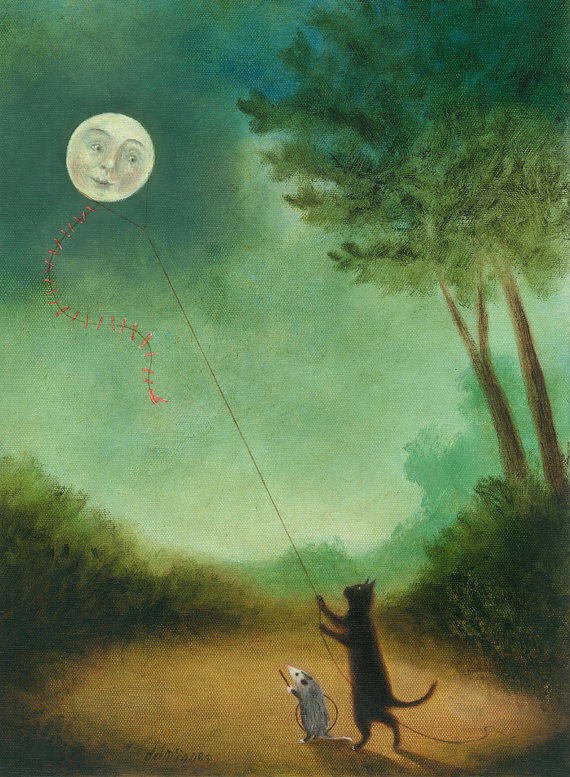 I feel the moon herself would be singing too! I really just wanted to share some of my favourite pieces and to see others fall in love with these paintings as much as i have. I think i shall be dreaming of bears picking pumpkins tonight! You can follow The Litus Gallery on Etsy, Facebook and Instagram. Love them! So so nice - thanks for writing this post - I love discovering new Etsy sellers. I felt the same when i saw it. 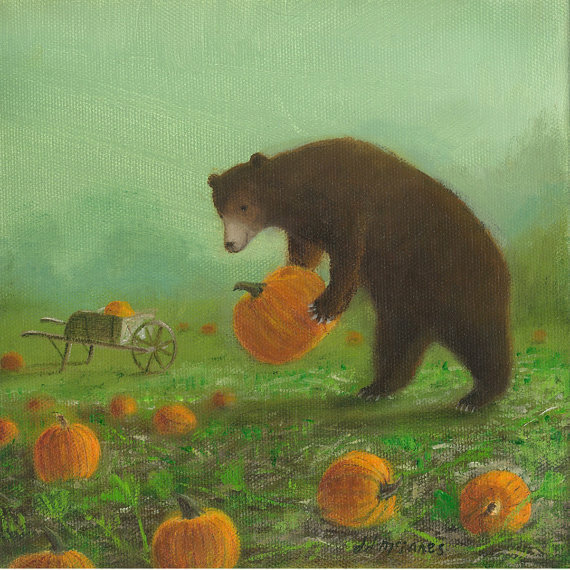 It is very much a favourite out of them all but i feel the bear and the pumpkin is my most favourite of them all! Isn't it amazing when you find something that really captures your soul! I often feel that way about Kandinsky and Picasso, these are magical, I love them too! These are beautiful perfect for any nursery and something f to grow with them into their big rooms! Oh I must show this to my friend. She loves painting and is always looking for new inspiration. 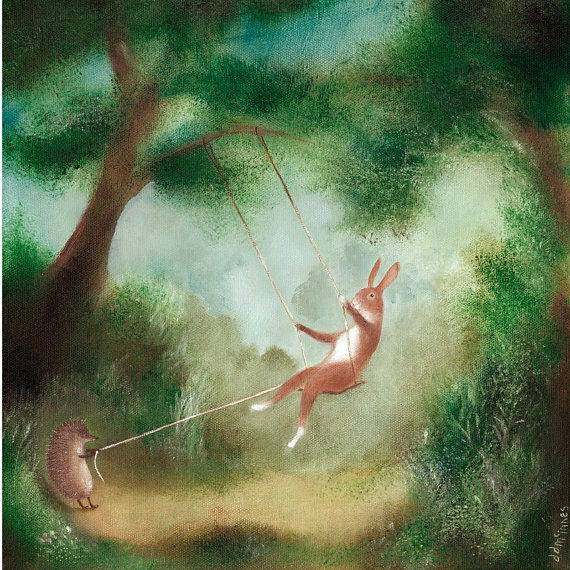 Oh my word,these are absolutely fab illustrations. I'd LOVE one in the girls room, we are currently doing it up.